Using ISO files in Linux and Windows. I’ve started to use more and more ISO images as disk space is becoming cheaper and its a lot easier to manage ISO files compared to physical CDs/DVDs. Mainly because I keep forgetting where I put the physical media. I use it all the time at work and I’ve never had any problems with it. Its small simply and works well. Well, my Audi A4 is very old now and we will probably need a new car in a year or so. 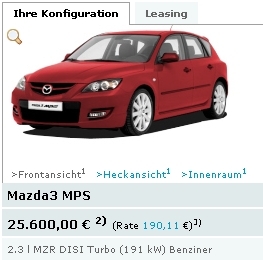 I’m really thinking of getting another Audi, but I thought I would check around and see what else I could get. The Opel GT is only ~€22k and does have 250 bhp, but its a little small for every day use. 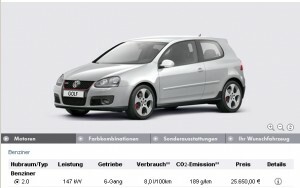 You can get a VW Golf GTI for around €26k too. It would be good to have a 200bhp car but I really dont know if I can justify it. You can get large, more efficient cars. 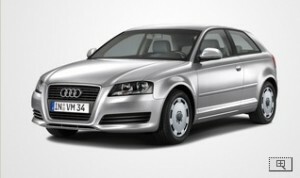 My A4 is only around 125 bhp. Well it was when new, its 11 years old now so its probably even less. 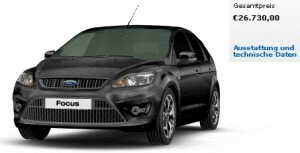 All prices are current from German websites.